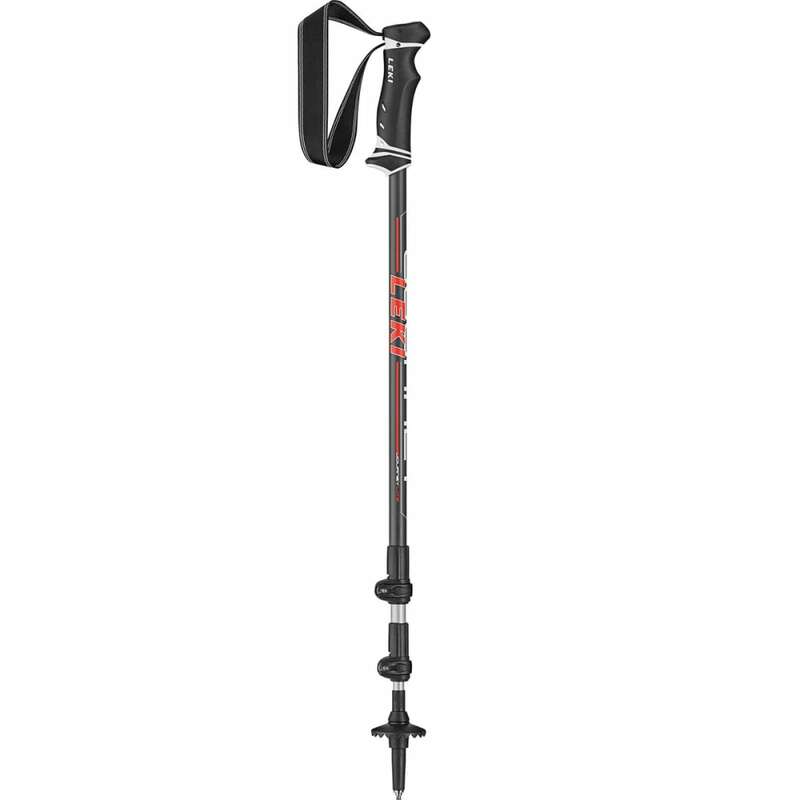 Bring this lightweight, adjustable trekking pole and head off to the trails, woods, glacially carved valleys, and distant vistas. The lightweight aluminum shaft adjusts with two rugged Speed Lock clamps. Shrink it down to 39 inches for travel and extend it all the way to 53.1 inches for hiking. The metal tip and trekking basket provide reliable traction on slick and the soft rubber grip and Lock Security strap provide all day comfort.